Towards the end of 2010 three people whose work I respect (and, it must be said, who I personally like and enjoy working with) all published books with ‘Home’ in the title. 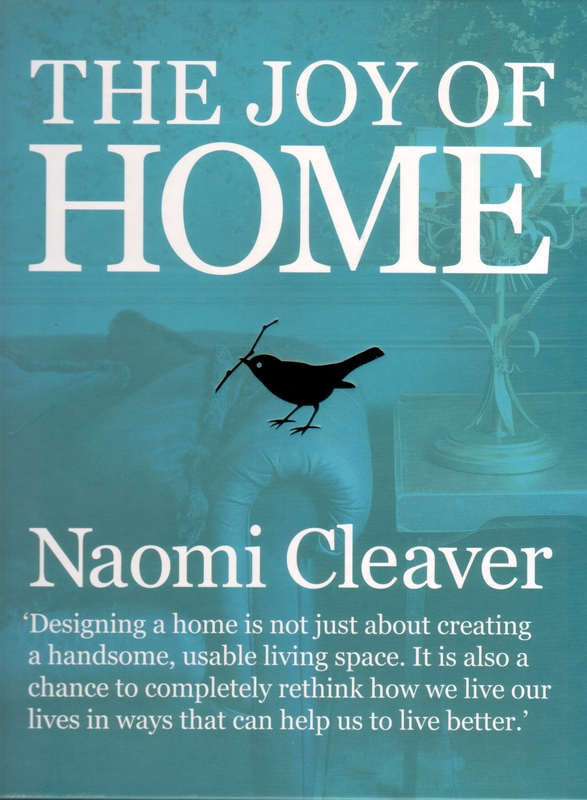 George Clarke’s Home Bible, Naomi Cleaver’s The Joy of Home and Kevin McCloud’s 43 Principles of Home came out within a couple of months of each other, and all, we hope, are selling well and enhancing these admirable people’s already admirable reputations. Let’s hold a candle of comparison, see where they go with this idea of Home – from house to ‘Om’, one of the most powerful and enduring in human consciousness. Not rocket science, I’m sure even Ilse would agree. But very well put, because as she so rightly says, the ‘warm’, ‘heartfelt’, human or humane aspects of design are all too easily forgotten, if we ever realized they were there in the first place. It may even be that the slightly messy, eclectic, mismatched, unpredictable, not altogether well organised, aspects of our homes – the things that make us feel at home – are not even considered as design at all. Design, after all, is there to eliminate all that randomness. Isn’t it? 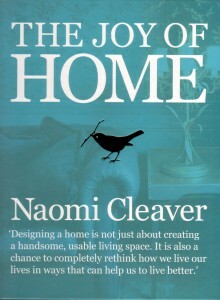 Naomi Cleaver’s book is less ostensibly based on the feeling, intuitive, right-brain side of our consciousness, but at bottom she is very clear that a) anyone and everyone can design a successful home for themselves, and b) that anyone and everyone has creativity in their bones, however deep laid and apparently inaccessible. ‘Designing a home is nor just about creating a handsome, usable living space. It is also a chance to completely think how we live our lives in ways that help us to live better…. To design a home is to design happiness, to create for ourselves a little piece of joy.’ She cleverly leads from the personal growth aspects (‘… in our domestic domain… we can express our true creative selves most fully and in ways that add tangible value to the quality of our life’) to the more or less didactic, prescriptive approach (‘Throw a few crimson cushions across a lime green sofa’ – she doesn’t say this, but you know what I mean) which is much more familiar to readers of books like these. For Naomi, home = happiness, but happiness = conflict, either because I love loud rock’n’roll and my partner hates it, or because I love loud rock’n’roll but there are times when I absolutely have to have silence. She quotes Aristotle and Plato, coming down on the side of Plato: ‘I want it all, and I’ll settle for a degree of compromise. But the common denominator is planning.’ Bingo, here we are in the world of understanding the design process, learning not only how to draw but the value of it, leading on to a room-by-room account of what makes good home design and what doesn’t. Ambitious, laudable, useful, stimulating, loads of good ideas; definitely a book to have at hand. George Clarke’s approach, much like his ebullient and likeable TV persona, is to draw from his own personal experience, tell personal stories, use his own home to demonstrate basic principles and Big Ideas. George is not one for navel gazing, but his introduction also touches on the emotional significance of home; ‘we have lost sight of what “home” actually means.’ But now, after the property boom of the 90s, ‘we have begun to think about our families’ “needs” in a home, rather than our “wants”. What of those of us who would love to take a more affordable budget and transform the ordinary house in which we already live into something truly special?’ Like Naomi, he also puts great emphasis on drawing, devoting a whole chapter to it (I reckon even I could learn to draw having read it), which implicitly subverts the idea that there are people who can and people who can’t, and leads directly to the creativity gene that Naomi has already uncovered. After which, structuring the book around spatial typologies and a room-by-room formula, he demonstrates just what is possible. Inspiring, practical, no-nonsense, the book is almost written in a Geordie accent. 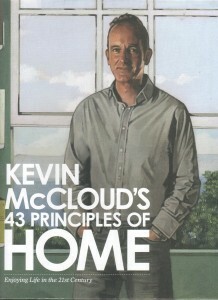 The first of many surprises about Kevin McCloud’s tome (nearly 400 very big pages) is that his 43 Principles of Home, which are sort of an update of Le Corbusier’s Manual of Dwelling, and refer to the wisdom of Vitruvius and Palladio, among other architectural philosophers, appear almost as a by-product in the book, set on single pages, and are not directly expanded upon or – at first sight – used to form the structure. They just sort of occur as you go through it. But go through it you will, because this is one of those books that you actually enjoy reading and will do so for pleasure, as opposed to the necessary, useful (but still of course enjoyable) experience that the others offer. Kevin covers just about every damn thing you ever need or want to know. Pretty much the first thing you come to is fire. Fire? Why start there? Before you know it you’re on a discursive and at times laugh-out-loud exposition of barbecues and behaviour, the typical archaic male ‘in touch with his caveman self’. He has led us there by way of his woodburner, which brings us to Benjamin Franklin, the 18th-century inventor of – among many other things – the woodburning stove. Which in turn brings us to Principle 1: ‘Demand that your home consumes the minimum of energy yet keeps you warm and comfortable… Demand that your building does not just save energy but produces it. Demand that your home has a minimal environmental footprint and uses our precious resources wisely and sparingly.’ See? Structure becomes apparent. The ‘Principle’ appears in just the right place. It goes here, it goes there, it goes everywhere. It goes to Rome to meet a model maker, it learns how to make charcoal with Ben Law, the ‘underwoodsman’ from the first series of Grand Designs. It goes to Denmark Street, the hub of ‘Tin Pan Alley’ in central London, to buy a bass guitar and marvel at the warmth and vitality of true craftsmanship. It has chapters with titles like ‘How NOT to Shop’. It has a whole section entitled ‘Sharing’. It’s a good investment of £30, perhaps the best you might make all year. But, like most writers in the world of design and architecture, or at least connected to it, it doesn’t quite go all the way. There is still that prescriptive stuff: ‘do this, do that, do the other’ – which, because it is delivered with the inimitable McCloud warmth and humour, is easy to swallow. But it doesn’t get to the nub of HOW we change our behaviour; and it also doesn’t confront the unthinkable and downright nasty, but ultimately inevitable, conclusion that there’s no way this world will continue to sustain nine billion people, or anything like that number. Huge swathes of humanity will cease to exist, and tiny swathes will carry on, using some of the wisdom in books like this to make their lives bearable, even joyful. What we need – now and in the future, whether we are in the surviving few or the less fortunate many – is techniques, tricks and prescriptions for how we should think and act anew for the new world. How to rediscover a harmonious balance in our inner ecosystems, our mental (and spiritual) ecology. Habits change when minds change; and that’s where Eco-Mentalism© comes in. Didn’t think you’d get away without me banging that drum, now did you? 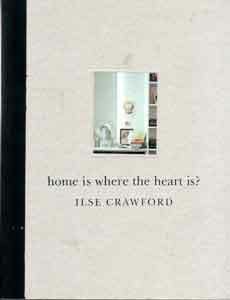 Ilse Crawford, 2005 and 2009. Home is where the heart is? Quadrille Publishing, £20. Naomi Cleaver, 2010. The Joy of Home. Conran Octopus, £30. George Clarke, 2010. 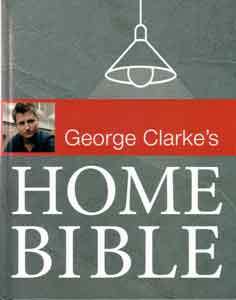 George Clarke’s Home Bible. Weidenfeld & Nicholson, £30. Kevin McCloud, 2010. Kevin McCloud’s 43 Principles of Home: Enjoying Life in the 21st Century. Collins, £30. Posted in Ecology of the Soul, FX Column - assorted design writings.